Jim, from Jasco Remodeling, restored our faith in the construction industry. His expertise, reliability and professionalism were top notch. We were left in a horrible situation from another construction company and Jim came in and saved the day! He was quick to assess and help to repair work that was not done properly and to continue the project in a professional manner. He was always on time and completed the task he started. He was so knowledgeable in every aspect of a remodel.We highly recommend Jim to anyone starting a remodeling project, you will be very happy with his work and dedication. He is honest and we could not be happier. We will hire him again for additional projects in the future. Look no further as we only wish we would have found Jim from the beginning of our project. Thank you Jim for all your help. JASCO Remodeling did an excellent job on our complete remodel in 2017. 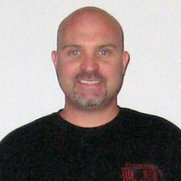 Jim delivers quality workmanship and professional expertise throughout the entire project. 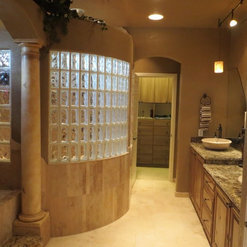 We recommend Jim and JASCO Remodeling! Remodeled master bathroom: Removed a tub Shower combo, designed a walk in shower with beautiful granite, removed old counter top and sinks, replaced with new granite counter tops, sinks, tile floor, all fixtures, added 5 LED lights, new toilet, removed a large window and replaced with two smaller ones, stucco repair. Removed old wood counter top on a cabinet: Replaced with a granite top. Remodeled guest bathroom: Removed sink, counter top, medicine cabinet and large mirror in guest bathroom. Replaced with new fixtures, sink, granit top, added a LED light that comes on with the fan, new mirror. In 2010 we purchased a home in Mesa, AZ. The home had been in foreclosure and needed new countertops, paint in all the rooms, new flooring, new faucets, new patio door and new ceiling fans put up, and some new lighting - just to make it livable. 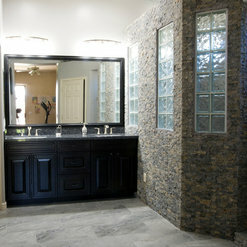 Jasco Remodeling has worked many projects at my home and all have turned out perfect! Yes.. remodeling that went well! Even when my air conditioning unit flooded a portion of my ceiling and the hall closet...this set me up for an unexpected remodeling project! 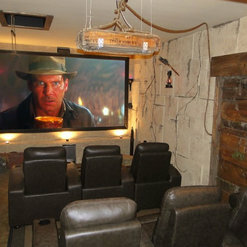 Jasco Remodeling worked with me to plan a small remodel of the room. We removed the flooded wall area that was partitioning off the living room. Once we took that wall out Jim suggested to reframe the doorway to the hallway to match the curve in a secondary hall doorway. The house looks and feels so much bigger and the finishing off of the doorway - while it may seem insignificant - actually tied the floor plan together in a very positive way. Jasco's crews were fantastic, cleaned up, on time and professional. The work that was done was priced reasonable and the work was spot on - perfect! Jim Jasper of Jasco Remodeling is the epitome of professional. He is knowledgable, skilled, honest and creative. 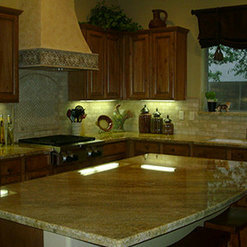 We have used Jasco Remodeling many times in the past and will continue to do so in the future. We love being able to feel completely confident that Jim will do the job well, do the job right and be fair and honest about the price. Jim has built a patio cover for us, repaired an interior ceiling, and various smaller projects. No job is too large or too small. We observed an extensive remodeling job on a neighbor's house. His creativity and skills were very impressive! 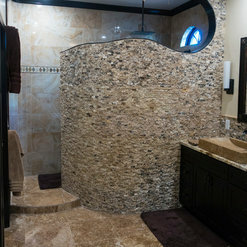 Jim Jasper with Jasco Remodeling has done several remodeling projects from flooring to major bathroom remodeling at our current home. He always listened to our ideas for a project, as well as provided his own great ideas. Jim is very creative! He tries to get you the best value for your money without compromising the design or look you want. Jim is extremely professional and takes great pride in the work he does, as if it were his own home. We will always use Jim for any remodeling projects in the future. We had a wonderful experience. Jim helped guide us through every step of our shower renovation with creativity and practical experience. He was excellent with communication and on time with every step. He's highly skilled, talented and responsible. He got the job done in a timely manner and delivered 100% quality work. I can't say enough good things about the experience. I would highly recommend Jasco Remodeling! Great company, even better people! Jim did an excellent job and completed my project before starting another so it was done fast and efficiently. He did both a patio and then a complete kitchen. We were really happy with both jobs. Jim is a rare talent, creative,attentive, honest and professional. He continues to exceed my expectations. It's a pleasure to refer such a trusted professional to my clients and friends. My husband and I had to share how impressed we have been with Jasco Remodeling. 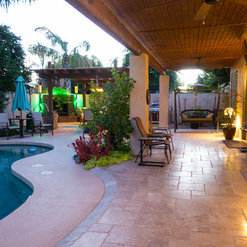 We have hired them many times to do various home remodeling projects over the years. Jim Jasper is always extremely professional and reliable. Every project has finished on time and on budget which has made every experience with this company stress free! My parents have also hired Jasco throughout the years and continue to be equally impressed. I would highly recommend Jasco Remodeling for any and all of your home improvement needs. You will not be sorry! 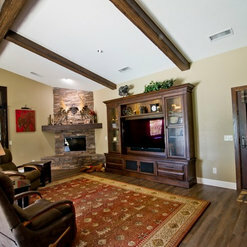 Jasco Remodeling transformed my main living space. 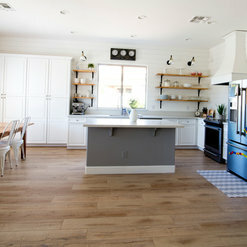 The project not only updated the kitchen and living room, but the area has become more functional. 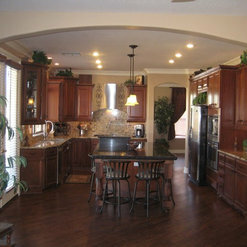 The ease in which we can move around the kitchen and have access to entertaining guests is ideal for our family. 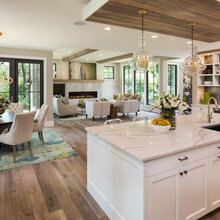 Jim was able to assess our needs and created remarkable transformation; people regularly walk in the door and comment on the workmanship and style of the home. Diligence in completing the project on time is another consideration for rating this company highly. Jim's crew are hard working, polite, and aware their scheduling impacted my family; all things that made the experience of the remodel manageable. Jasco Remodeling is respectable, efficient and they created a living area that my family takes pleasure in enjoying daily. Wow. Doesn't get any better than this! Jasco was recommended by a neighbor and we were so pleased with the professionalism and dedication to the original project that we expanded the project to include what we were planning on doing in the future. Jasco guarantees the work, make welcome recommendations as to the design and takes pride in the finished project. Highly recommended.